If a pipeline company has contacted you to install a pipeline on your property, you should contact an attorney experienced in this type of work. The process can be confusing and intimidating. Typically, pipeline companies will make repeated telephone and mail contact in an attempt to obtain signatures on documents that may contain provisions that are not fair to you. The landowner should insist that language protecting their rights is included in the written document. If it is not, there are no protections. Experienced legal counsel can draft comprehensive revisions to documents and propose construction specifications to provide protections for the landowner. Issues of full just compensation for the easement and its impact on remaining property are critical and best addressed by legal counsel who, together with an appraiser, can provide documented support for the compensation amount sought to be paid. If you would like to better understand your rights and options, please contact Mark Silver, Esq. at (717) 232-5000 or at mssilver@mette.com. Tax assessment appeal deadlines for Pennsylvania counties are quickly approaching. If you own commercial real estate, or if you are a tenant who is responsible for payment of real estate taxes, you may be entitled to a decrease in real estate taxes. We are well prepared to assist commercial real estate owners, as well as tenants who are responsible for paying real estate taxes, evaluate whether an appeal should be filed. Fees can be hourly or on a contingency basis. Any individual or business with an interest in commercial real estate interested in discussing the prospects of an appeal should contact us immediately. Q: I have received notification that my property is to be taken for public use; what do I do and what are my rights? A: The answers vary depending on the type of property to be taken (residential; commercial; industrial; development; agricultural, etc. ); the entity seeking to acquire the property and the expressed purpose; whether the taking is partial or total; whether there are structures or site improvements contained within the area of taking; if a business is involved whether the taking will interfere with its continued use and operation, and other factors specific to the property involved and the taking plans. Both the United States Constitution (Amendment V) and the Pennsylvania Constitution (art.1, Sec. 10) provide: “…nor shall private property be taken…or applied…for public use, without just compensation…”. It is the quest for just compensation that requires assistance of experienced counsel early in the proceedings to seek to address issues that arise from the acquisition of part or all of the subject property that may include in addition to just compensation for the actual area of acquisition the recovery of specific statutory benefits for which the condemnee may be eligible. The earlier the condemnee makes contact with counsel, the better. First, it must be determined that the taking is legal, and not subject to objections. Then the property must be inspected to determine existing conditions; plan revisions considered; a real estate appraiser and engineer, if necessary, employed…all to review current conditions and the relevant taking plans, to determine the impact of the taking, and if not total, the effect the taking will have on the remaining property (severance damage). Factors such as relevant zoning; availability of public/private utilities; access; topography; visibility, and the like are critical to the full understanding of the property, its current and potential highest and best uses, and how it may be impacted by the taking. The Condemnee is to be paid “just compensation”, defined in the Pennsylvania Eminent Domain Code to: “…consist of the difference between the fair market value of the condemnee’s entire property interest immediately before the condemnation and as unaffected by the condemnation and the fair market value of the property interest remaining immediately after the condemnation and as affected by the condemnation”. Although the words that comprise the definition of “just compensation” in the Pennsylvania Eminent Domain Code seem straightforward, the experience and insight of counsel, the appraiser, and when necessary an engineer, can serve to identify and quantify elements of damage not initially appreciated, but compensable in accordance with applicable law. Counsel can also serve to identify claims in addition to “just compensation” for which the condemnee may be eligible that may include interest; limited reimbursement of professional fees; moving and related expenses; business reestablishment expenses; replacement search costs; rent loss; and others where the facts and governing law so provide. In certain residential taking scenarios, the condemnee may be entitled to a replacement housing supplement; increased mortgage interest differential payment; and payments for title search, transfer tax, and other closing costs, in addition to moving expenses. Pennsylvania law does not currently provide compensation or reimbursement for business loss or loss of business profits. Business Dislocation Damages; however, may be payable in certain circumstances (for example: where the taking is total and a business not part of a chain of three or more similar establishments is taken along with the real property), are limited to a maximum of $60,000, and are dependent on tax returns. It is noteworthy to mention that the process of obtaining full and comprehensive just compensation for any taking, whether total or partial; residential, commercial, or otherwise; is time consuming and can include many legal, engineering, and appraisal issues not immediately obvious or known to professionals who do not have experience in this type of work. Should you wish to discuss issues of importance to you that are involved in a taking of your property, I would be more than pleased to review them with you. It used to be the rule that rainwater runoff was not the responsibility of the landowner. The law recognized that water runs downhill. No longer. As EPA and the Pennsylvania DEP increase their emphasis on reducing pollutant discharges to the Chesapeake Bay, landowners are facing two challenges with regard to this previously minor concern. First, any development of land that increases impervious surfaces (roofs, sidewalks, parking lots) is now heavily regulated. The rules now require that runoff after development be no greater than it was prior to development. DEP regulations require that the developer obtain a “discharge” permit for stormwater and contractually agree to limit runoff in perpetuity. And, to make things more challenging, mere storage of runoff in traditional stormwater basins, where it will evaporate or gradually soak into the ground, is no longer acceptable. Considerable engineering work now must be done to actively inject stormwater into the ground. The long term consequences of these new, unscientific requirements remain to be seen. If you already own developed property you’re not off the hook. 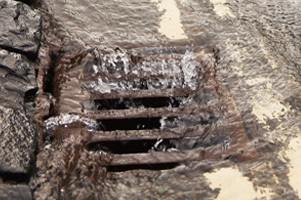 Municipalities are already being required to reduce their stormwater discharges and looming on the horizon is the threat of requiring treatment of stormwater. To address these issues, and to pay for them, municipalities are beginning to tax properties based on their stormwater runoff potential. Several Pennsylvania municipalities have already implemented a stormwater tax, and many more are considering it. The purpose of the tax is two-fold: help pay for the unfunded mandate from EPA and DEP to reduce quantity and improve quality of municipal stormwater, and incentivize property owners to reduce their runoff into the municipal stormwater system. Many innovative solutions are being developed to help property owners cope with these new requirements, including pervious pavement, stormwater retention technology, and even “green” roofs. Hence, whether you are buying property with an eye toward development; planning to further develop property you already own; or own commercial property with impervious surfaces, stormwater management should be near the top of your to-do list. Homeowners in flood prone areas will face increases in flood insurance premiums under provisions in the Biggert–Waters Flood Insurance Reform Act of 2012 (the “Act”), certain provisions of which went into effect October 1, 2013. For homeowners in designated areas, the National Flood Insurance Program provided federal subsidies for flood insurance premiums for flood prone properties since 1968. The purpose of the National Flood Insurance Program was to enable homeowners in flood prone areas to purchase flood insurance which was unavailable from private insurance providers. In recent years, many more claims were made than were covered by the premiums paid. The Act was a response to address the losses to the National Flood Insurance Program from the increased number of claims. Many mid-state residents with homes on the New Jersey, Maryland or Delaware shores will likely see their flood insurance premiums rise as much as 25% per year until the rates are adjusted to accurately reflect the current risk of flood to such property. The Act requires that the increase to premiums in Special Flood Hazard Areas for renewal policies rise up to 25% per year until they meet full-risk premium rates. A number of bills have been introduced in the United States Congress to delay the imposition of the rise in flood insurance premiums under the National Flood Insurance Program although such changes to the Act are uncertain. On February 14, 2012, the Unconventional Gas Well Impact Fee Act (Act 13 of 2012) which amends Title 58 (Oil and Gas) of the Pennsylvania Consolidated Statutes was signed into law by Governor Corbett. This Act among other matters required municipalities to amend their land use ordinances to allow unconventional gas wells, such as those associated with extraction of natural gas from the Marcellus Shale formation, as a permitted use in every zoning district and their related facilities in nearly every zoning district (58 Pa. C.S. §3304). The definition of oil and gas operations also was expanded to include construction, installation, use, maintenance and repair of oil and gas pipelines, natural gas processing plants or facilities performing equivalent functions and all equipment directly associated with the foregoing activities. Under the Act, there are certain permissible limitations on the location of oil and gas operations within residential zoning districts. For example, a local zoning restriction may prohibit wells or well sites within a residential district if the well site cannot be placed so that the wellhead is at least 500 feet from any existing building. The well site may not be located so that the outer edge of the well pad is closer than 300 feet from an existing building in a residential district and oil and gas operations may not take place within 300 feet of an existing building. Impoundment areas for oil and gas operations also are permitted in all zoning districts provided that the edge of an impoundment cannot be located closer than 300 feet from an existing building. The Act further provides that natural gas compressor stations must be authorized as a permitted use in agricultural and industrial zones and as a conditional use provided the compressor building is located at least 750 feet from the nearest existing building or 200 feet from the nearest lot line, whichever is greater and the noise level cannot exceed a noise standard of 600 dbA at the nearest property line or the applicable standard imposed by Federal law, whichever is less. Other than the principal exceptions outlined above, among other lesser limitations, municipalities are preempted from regulating oil and gas operations as defined in Act 13 of 2012 (58 Pa. C.S. §3302). In response to the above limitations on the ability of local government to regulate the location of oil and gas operations within their jurisdictions, a number of municipalities filed a Petition for Review with the Pennsylvania Commonwealth Court on March 29, 2012 challenging the constitutionality of state preemption of local regulation and, in particular, zoning regulations under Act 13. The Commonwealth Court in an order dated July 26, 2012 held that Section 3304 of the Act which, in effect, requires a municipality to violate its comprehensive plan for growth and development violates substantive due process because it does not protect the interests of neighboring property owners from harm, it alters the character of the neighborhood and it makes zoning classifications a nullity as it requires a municipality to allow in all zones, drilling operations, impoundments, gas compressor stations and related facilities. The Commonwealth was permanently enjoined from enforcing this Section 3304 and most of the remainder of Chapter 33 of the Act. The Commonwealth among others filed a Notice of Appeal of the Commonwealth Court’s decision with the Pennsylvania Supreme Court on July 27, 2012. Stay tuned for further developments in this very significant case. 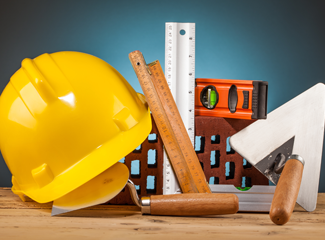 The Pennsylvania Home Improvement Consumer Protection Act is designed to protect homeowners from unscrupulous contractors and to establish penalties against contractors who violate the Act. A year later, some legitimate contractors still do not know the requirements of the Act or whether they are violating the Act in the way they do business.